John o' Groats has a lot to answer for. 'Is that it?' is the most common reaction to the tiny hamlet. And despite its fame it is not the furthest point on the British mainland from Land's End - that's Duncansby Head. 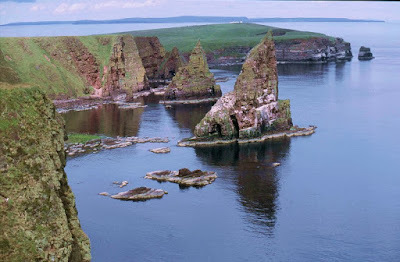 (In fact Land's End isn't the furthest point from Duncansby Head either - but that was the subject of a previous post.) So we aren't going to discuss John o' Groats any further. 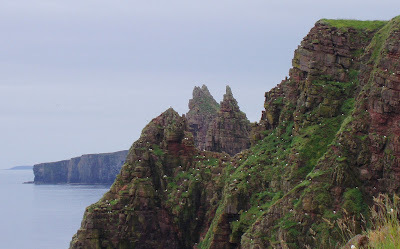 This post is all about Duncansby Head, just 3km from John o' Groats. 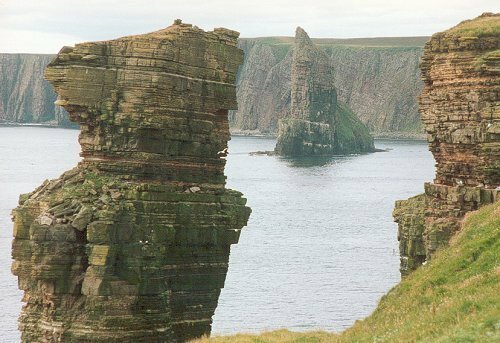 And the great thing about Duncansby Head is its scenic drama - a fitting headland for most north-easterly point on the British mainland. 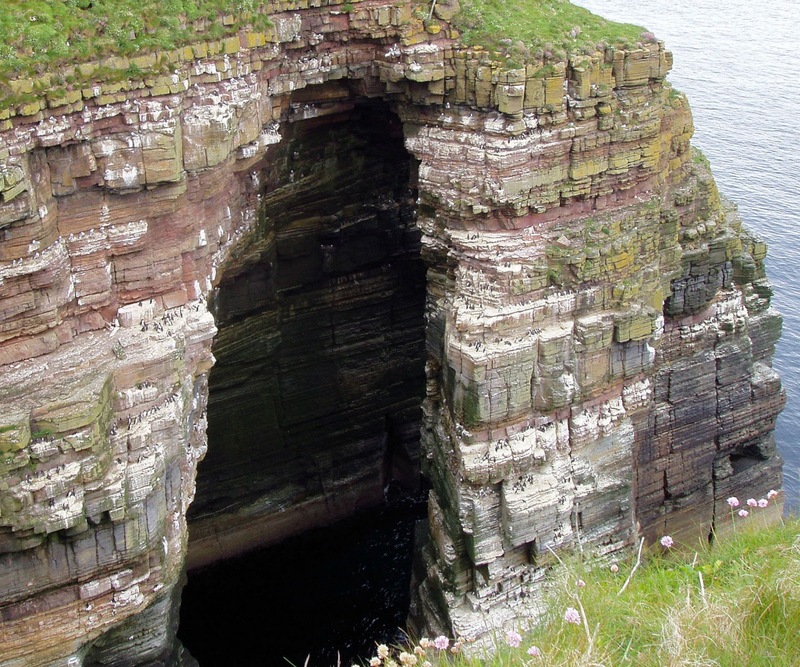 Duncansby is topped by the ruins of a WWII encampment. Like Hoxa Head, guns were placed here to deter the German navy. The scenery starts pretty much immediately, small seacliffs, a stack, and a geo - the first place my wife ever saw a puffin. Beyond the geo the cliffs march south towards Freswick and the impressive Stacks of Duncansby appear. These sea-stacks are 60m high and were first climbed in 1958. They are less famous than the 137m high Old Man of Hoy but are probably seen by more tourists. We continued just beyond the three stacks where the crowds thinned dramatically. Perched precariously on the very edge of the cliffs was a couple in flagrante delicio, adding an extreme sport frisson to the act of coitus. 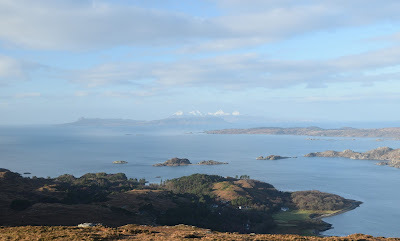 It was well seeing that the midge season had not yet started.